Recorded live in St. Petersburg on a cold winter night, this is the warmest music imaginable. 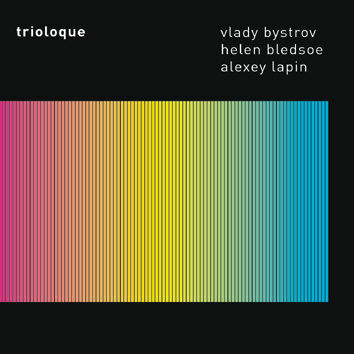 For a spontaneously inventive storyteller Vlady Bystrov and kaleidoscopic pianist Alexey Lapin this is the second album on Leo Records. But here they are augmented by the consummate flutist Helen Bledsoe, the soloist of musikFabrik Koeln, who makes each piece an exhilarating adventure. While the conception is of a post-modern, classical sort, the deep sensibilities for "neue musik" come through Helen's flutes and Vlady's clarinets coloured by Alexey's minimalistic and atmospheric explorations on piano. An exeptionally organic flow that draws you into the stream and keeps you in suspense.